Cheshire | We own the details. You own the show. Whatever your project may be, feel free to get in touch to arrange a free consultation. When there’s a perfect balance between great design and flawless execution. That’s where we shine. We’re able to strike that balance because, at Cheshire, we’ve found an ideal sweet spot our clientele needs a richer offering than the traditional basic-level AV guys. At the same time, service with less complexity and expense than a giant production company. Our team of seasoned professionals thrive on making our clients look and sound their best. When you partner with Cheshire, you’ll find we get to know you ahead of time. Assign a dedicated Production Manager just for you. We ask smart questions. Understand your objectives—and your voice. 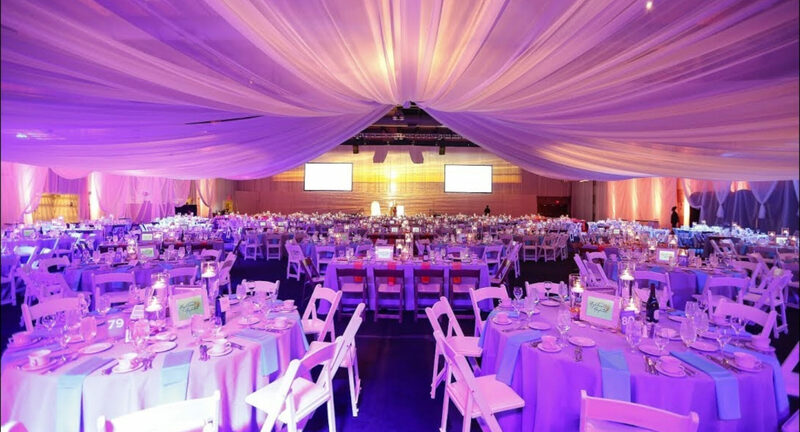 We draft detailed plans and build your unique personality into every facet of your event. So the message hits home. Attendees will only see the awesome part. You! Be more than a face in the crowd. Win the crowd. Just-for-you solutions. Just for your brand. From presentations to live-action video, creating original content and placing into the ideal format is one of the most intricate problems we help clients solve. At Cheshire we are constantly challenging ourselves to push our technical knowledge for our customers. We keep up to date with the latest technology so you don’t have to. Working with the Cheshire AV team was fantastic from beginning to end. Justin, Chad, and the entire team were focused on building a partnership with HealthcareSource to ensure that our needs were not only met, but exceeded. They took the time to learn about our program to make suggestions for improvements always keeping our budget in mind. Very much looking forward to continuing to build a relationship with the team and being part of the Cheshire AV family for years to come. 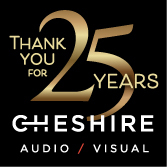 Cheshire Audio Visual is a company I’ve worked with since 1994. They are my preference for corporate meetings as well as trade shows. Highly knowledgeable about the industry and equipment, collaborates with the client for the best solutions, and highly reliable. I wanted to thank Cheshire again for an excellent production. As always, your creativity and attention to detail made our program a success. I also appreciate the assistance with regard to our budget. Your flexibility, team effort and professionalism are unparalleled. I look forward to our next project. I have partnered with the team at Cheshire AV for over 20 years on numerous tradeshows and events. They always have the newest equipment available, technicians trained on all equipment and most importantly they stay within the estimate provided. Our company continues to rely on them to be the AV industry experts. Couple that expertise with their outstanding customer service and you have a winning combination to keep me going back to them for all of our tradeshow AV needs. What I appreciate about the team at Cheshire Audio Visual is their willingness to assess a situation and do what it takes to accommodate the customer. As we are all aware with large events we can be moving in one direction and slam! A circumstance arises that takes us down a totally different path. The Cheshire staff is always right on it. They communicate about what needs to be done to complete the project within budget while still having it be “The Best Show Ever.” The relationship with their customers is much more important than the profit, which is a rare these days. The meeting went very very well, and we are so pleased with everyone in Rochester, and in particular the video keynote files. Your guys did a great job on the video, not to mention everything else. Please thank them personally again for being so very professional. They were all extremely professional, helpful, attentive to our needs, and very concerned that they were providing what we need. Great employees; they did you right. If we can ever use your services again, we certainly will. Thanks again for your good service; we all very much appreciated it. The Cheshire team did a terrific job on the SDPP conference….there were lots of last minute changes and additions and your entire team was at the ready to handle anything….We also had a tight load-in for the plenary as well as the table top exhibits and your staff made it happen…It was a pleasure working with Chad, Alan and Chris and we look forward to working with your team in the future. On another note, I wanted to personally thank you for the fantastic job your team did on the CCF Gala – it was one of the best ones yet! Chad, Alan, Chris and Bob were absolutely wonderful to work with – always there with a solution to anything that came up and always happy to help. Your team is terrific! Would you like to signup for the Cheshire Audio Visual Newsletter?